I have been a member of the Prescott community for many years and I am proud to be part of the Prescott legacy. My family moved to Prescott in 1973 from Phoenix when my father became the director of the Sharlot Hall Museum. Growing up in Prescott was a great experience and provided me with an intimate knowledge of the area and its history. This knowledge makes me uniquely qualified to help buyers and sellers with their real estate needs. Just a little background about myself: I graduated high school at Prescott High School, then served four years in the military. After the military, I attended Northern Arizona University and earned a Bachelors degree in Visual Communications, and later a Masters degree in Elementary education. 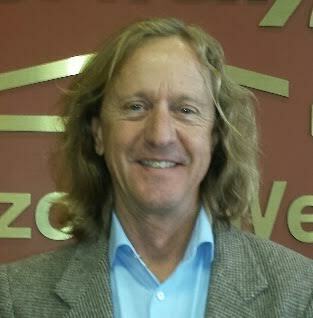 I then taught elementary school for nine years in Northern Arizona before becoming a Realtor in Prescott. Since becoming a realtor In 2001 I have helped hundreds of families buy and sell properties in Prescott, Prescott Valley, Dewey-Humboldt, Chino Valley and all of the surrounding area. Whether you are looking for a condo on the golf course, a cabin in the pines, or a ranch on the prairie I can find the perfect place for you! I possess the knowledge and expertise of the real estate process to make sure your transaction goes smoothly and closes on time. When choosing a realtor chooses one who really knows the area and has a record of performance. Call or email today. Let’s get started!